Spain’s former foreign minister, José Manuel García-Margallo, told EURACTIV Spain that now is not the time for alarmist reactions to Donald Trump’s US election victory and that Brexit could provide Spain with an opportunity to increase its international standing. José Manuel García-Margallo was Spain’s minister for foreign affairs and cooperation from 2011 to 2016. He spoke to EURACTIV Spain’s Catalina Guerrero and Belén Anca. García-Margallo was the head of Spanish diplomacy until a few days ago, when he was replaced in Mariano Rajoy’s new cabinet. He is optimistic that Trump’s presidency will not be as disruptive as his campaign promises might lead people to believe and there have already been the “first signs” of this. These signs, while still “worrying”, appear to show that Trump is already backtracking, given that his initial promise to deport 11 million people has now been downgraded to two or three million people with criminal records. “It is outrageous, but less so,” said García-Margallo. He also cited Trump’s promise to build a wall in Mexico, which has now been revised to a border fence. His pledge to prohibit Muslims from entering the US has also not been given much more airtime. Regarding international politics, García-Margallo is equally confident that Trump’s grandstanding on issues like the Iran nuclear deal and the Paris climate agreement will not materialise into actual policy shifts, as both issues are “not bilateral agreements with the US, they are covered by the UN”. 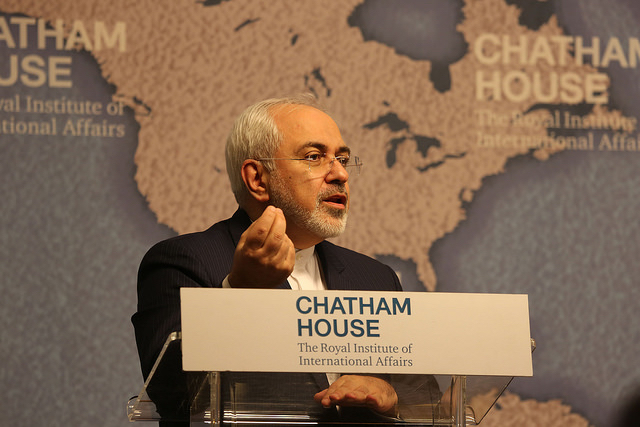 The world’s current international hotspots – Iran, the Baltics, NATO and North Korea – reacted with deliberate caution on Wednesday (9 November) to Donald Trump’s establishment-defying victory in the US presidential election. The erstwhile foreign minister, who backed Hillary Clinton in the race to the White House, added that now is not the time for alarmist reactions. Instead, what is important now are the “opportunities” that will open up for the EU and Spain. One of these will be in the sector of defence. 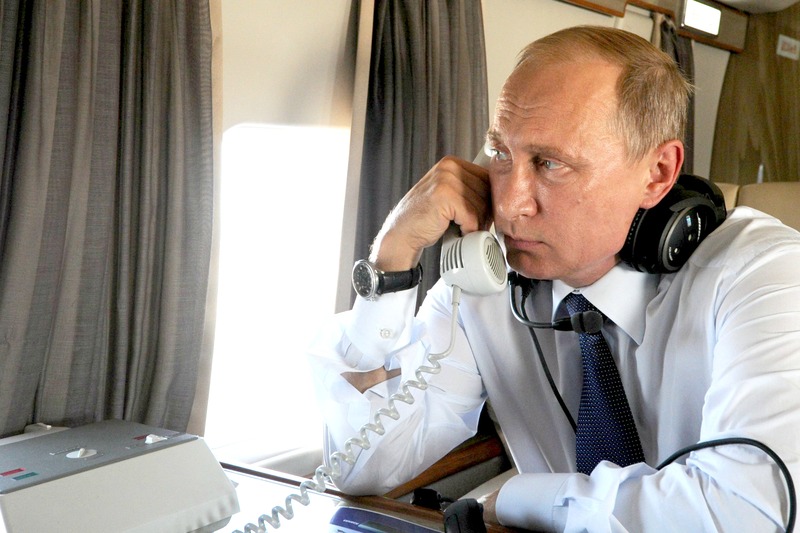 “Since the Cold War, the US has been the sheriff of the county and we’ve just been the lounge pianist. That’s over now,” insisted García-Margallo, who has just published a book on the future of Europe, co-written with Secretary of State for European Affairs Fernando Eguidazu. Russian President Vladimir Putin and US President-elect Donald Trump yesterday (14 November) agreed to work towards “constructive cooperation”, including on fighting terrorism, the Kremlin said. “Either we defend ourselves or there is no defence here,” warned García-Margallo, who admitted that the fact that President-in-waiting Trump’s first photo with a European politician was with UKIP leader Nigel Farage sent a “very strong” signal. 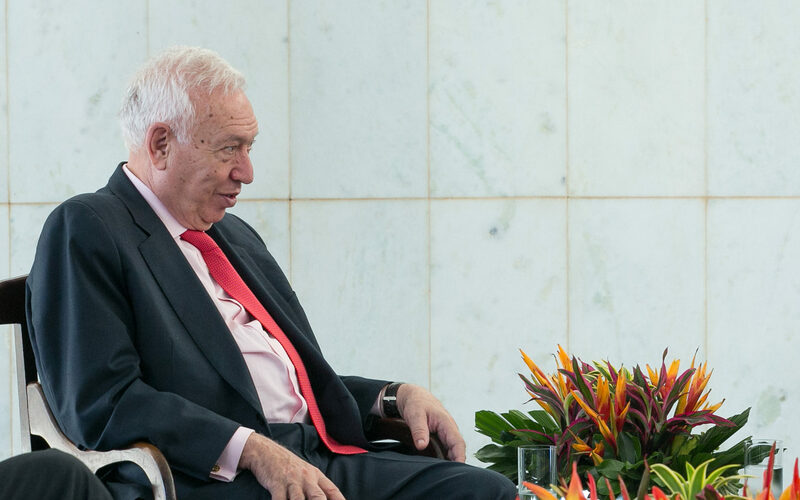 In terms of trade, García-Margallo believes that the EU-US TTIP deal will be “shelved for a long time” as a result of Trump’s victory, while the much-criticised (especially by Trump) NAFTA agreement, which is “extraordinarily important” for Mexico, will not be renegotiated, despite what the president-elect said during his campaign. Neither does he believe that the US will move to impose tariffs on China and Mexico, as promised, because it is “contrary” to WTO rules. The winds of populism that are currently blowing across the continent show certain “parallels” with the events of the early 20th century, but the Spaniard hopes that France will act as a form of fire-break, in the form of Alain Juppé and his likely showdown with National Front leader Marine Le Pen next year. The Spanish government intends to broker a deal with the United Kingdom under which the outgoing EU member would pay the healthcare costs of the British diaspora living in Spain. EURACTIV Spain reports. Furthermore, García-Margallo suggested that Spain may have been granted an opportunity in the form of Brexit. Discounting the issue of sovereignty over Gibraltar, the former minister is hopeful that if Madrid “plays its cards right” then Spain will be able to secure a “leading role” in Europe’s relations with the US, as well as wresting control of the European Medicines Agency, the European Banking Authority and the EU’s Clearing House away from London. Not to mention tempting multinational North American companies away from their UK bases. 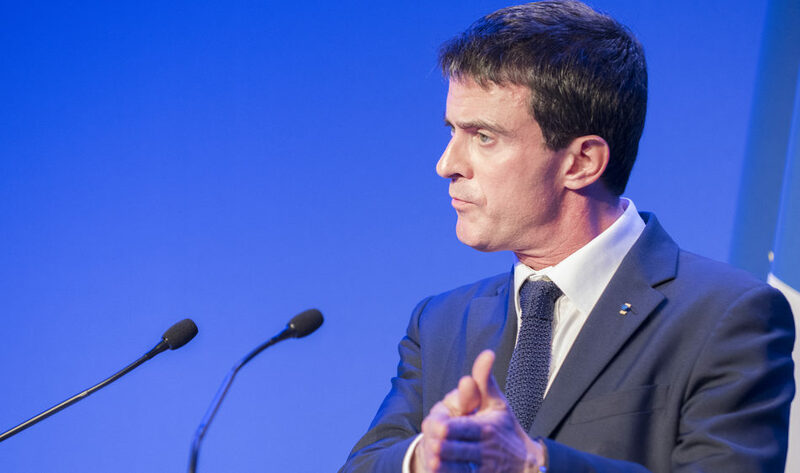 The main political figures of Paris met with French Prime Minister Manuel Valls yesterday (3 November) to discuss how best to offer opportunities to foreign businesses looking to relocate to the capital region. EURACTIV’s partner La Tribune reports. He also hopes that his successor, Alfonso Dastis, will continue with the two linchpins of foreign policy that Spain has established: “Europe and transatlantic relations”.